Here’s some recommendations for places to stay, taxis, places to eat and need to know stuff. Right now the list is short, but we’re building. 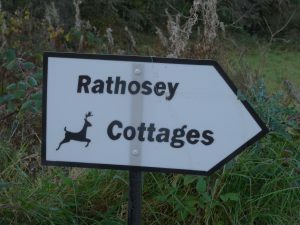 This here’s a place I’d love to stay myself and have lived beside it for the last 10 years. Still often head up that way for a stroll. Need a Joe Maxi? 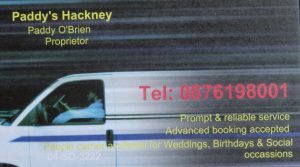 Call Paddy, to or from Coolaney to or from anywhere. See also the 7 principals of leave no trace. Here’s a couple of useful links for shopping for any clothing or equipment you may be needing, will save you time and money by having them delivered to your door. Hello there Terra, nice to get such feedback and I’m glad you enjoyed read. Please don’t be shy and let me know if you’ve any questions or would like to know any more about anything on this page or subject in general, and I’d be glad to help out. Thanks again and take care, all the best, N.
Howya Margaret, Thanks for your lovely feedback and comment. I’m delighted you found something useful here and lemme know if you’d like to see or hear about anything in particular here on this site and I’ll do best to sort this and don’t forget to gimme a shout if you’re ever in Ireland and looking for a guide. Found your own website very interesting also, though not an area I know much about. All the best, N.
Muss zu einer großen Frage gewesen sein dann Was war es noch einmal? Bitte erinnere mich.
that is the only link? Didya see th social media links there Muhammad? Any way we can be of service to you or any other relevant questions? Sry it’s taken a while to answer. I really must hire someone to take care of this correspondence for me. Know any1?